Held in early March of this year, Unbound Bahrain, the first of the global conference series to be hosted in the region, organized by Bahrain Economic Development Board (EDB) and supported by Startup Bahrain, saw a barrage of more than 1,500 participants and over 50 startups in the region heralding for discussions, startup competitions and hackathons to stir up Bahrain (and the MENA’s) ecosystem. Though it bears similarities with its neighboring Gulf countries, it’s unjust to generalize the whole region as one when each market and nation differs, and, as Bahrain does, rises on its own merit. One such example is the country’s fintech scene- in 2017, the Central Bank of Bahrain (CBB) announced new regulations for a regulatory sandbox to allow fintech startups to test and experiment their concepts, providing opportunities for fintech ideas globally to establish themselves and grow in Bahrain and the Gulf. According to Khalid Saad, CEO of Bahrain FinTech Bay (BFB), this move sends a message that the country is open to tech innovations. It goes in line with the role of BFB acting as a platform for the fintech scene, which was launched by a plethora of 30 founding partners, including Arab Financial Services, American Express, Cisco, National Bank of Bahrain, Gulf International Bank, and more, in February this year, as a dedicated fintech hub consisting of a co-working space and network. Another win is the launch of Amazon Web Services (AWS) in Bahrain, an indication of the country’s ICT market growth rate. John Kilmartin, Executive Director of ICT at EDB, stressed its cost saving impact for SMEs as cloud tech would minimize the need for expensive data center infrastructure. The government has also implemented a Cloud First Policy to encourage government entities and businesses to utilize cloud services for tech solutions. A factor in the growing startup ecosystem is the changing mindset around the culture of entrepreneurship. 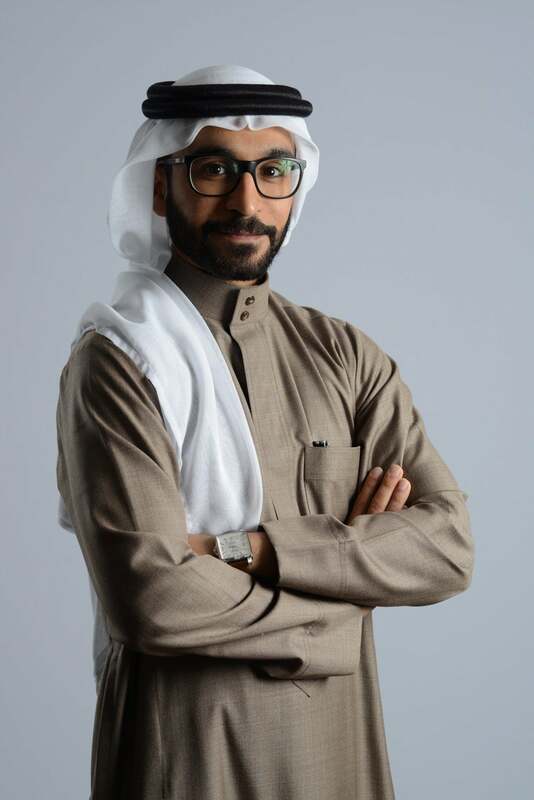 Abdulaziz F. Aljouf, founder and CEO of PayTabs, which raised US$20 million in funding last year, says that nine years ago, everyone was after a government job: “There wasn’t even a word for [being an entrepreneur], we say we work for ourselves, we’re self-employed,” and often facing pessimistic feedback, whereas to the encouraging tone people now take when someone is keen to start a business. Areije Al Shakar, Senior VP and Head of Development Services Division at BDB, whose department supports entrepreneurs to request or raise loans, and she also heads the Rowad Program platform which assists startups as early as idea stage through training, coaching, mentorship, incubation and funding, recalls the earlier days of trying to instill awareness. Now in her eighth year in her role, Al Shakar praises the amount of choices entrepreneurs have and their progress: Rowad has had more than 1,700 individual ideas that have gone through the program since it launched in 2015. They’ve also started the Seed Fuel program, which provides equity financing to innovative ideas of up to BHD25,000 (equivalent to US$67,000), and a subsidiary called the Bahrain Business Incubator Center (BBIC), with various incubators under it, including women-focused incubator Riyadat (in partnership with the BDB, Supreme Council for Women, and BBIC), plus various entrepreneur-focused community events. Al Shakar claims that the change in mindset has become a natural choice as the global economy changes- commending Bahrain’s progress as it stems from a grassroots level of starting with raising awareness in schools. To give an example, Al Shakar explains how back then, if you were in school and wanted to start a business, it might have been confusing, but now, there’s a range of choices to make- from accelerators, to hackathons and gaming challenges. “As the ecosystem changes, all the elements also change, [so we] make sure we are also in sync and in line with the startups,” says Al Shakar. This has also been a focus for UNIDO-ITPO Bahrain, according to Afif Barhoumi, Program Coordinator, Arab International Center for Entrepreneurship and Investment. Their entrepreneurship program originally started in Bahrain in 1999 and is now implemented in 52 countries, and Barhoumi stresses how they worked towards altering the attitude towards entrepreneurship among Arab nations and families. Particularly, they implemented programs in schools (and in Bahrain since 2005) to encourage the minds of young enterprising innovators, hosting programming competitions and events to foster entrepreneurial aspirations. Hasan Haider, Partner at 500 Startups, adds that new ‘treps should be mindful of wasting money, and not putting the right resources in the right place. From a startup founder’s perspective, Aljouf, who’s already had nine companies, advises, “You need to talk in the way that investors would understand you,” meaning that they need to see your startup’s growth and market viability. It’s worthy to note Bahrain’s inclusiveness, not only to Bahrain-based startups, but also entrepreneurs who wish to have access to Bahrain’s market, whether through expanding or starting a new enterprise in the country. Indeed, Saad asserts that as part of FinTech Bay’s mandate to push the industry ahead, besides Bahrain-based enterprises, they’re open to startups who want to launch in Bahrain or expand to Bahrain, whether they’re from the region or internationally. This also echoes the inclusiveness of Rowad Program, which Al Shakar says, as an online platform opens its resources to anyone. Haider says that besides the relatively low cost of operating a business in the Kingdom (compared to its GCC counterparts), Bahrain offers 100% foreign ownership, all the while acting as an interesting bridge to the Saudi Arabia market- a striking attractive opportunity for would-be entrepreneurs. As for the various challenges bubbling up in the scene, there are diverse opinions. For Saad, the biggest factor in growing the fintech scene is an opportunity and also a challenge- and that is, education and building awareness. With fintech innovations growing at a rate, and different institutions being open to supporting fintech startups at various stages, Saad says, the question becomes how they can further enable this growth, which is where education and awareness becomes a critical issue. He points out the importance of “building Bahrain’s image as [SME] friendly and welcoming with a proper ecosystem” on a local, regional, and international front. For Al Shakar, as with any other ecosystem, the hurdle is “keeping the momentum going,” and emphasizes that the solution is the ongoing collaboration of all the parties, from the government, to the private sector and startup community. Hammad adds that the relatively small market size, while an issue, makes Bahrain well-positioned to be a local hub for companies that want to attract the region at large. He also adds that there’s still a lack of expertise in certain areas, particularly technical areas, which they at Tamkeen, are trying to address by supporting companies, which have established in the country, to train Bahrainis too. Barhoumi notes this as an advantage, as with Bahrain’s small market and a mixture of various cultures, it serves as a good testing ground, and in fact, they test and implement programs in the country first, before sending it to other offices. As for legal issues, Haider brings up the need for convertible notes to be better understood by the ecosystem, as well as the challenges of VCs in protecting themselves in Bahrain and wider region. Haider points out how startups can’t implement employee share options, and because of that gap, whenever a MENA startup exits, there’s a lack of second or third-tier team members becoming active angel investors themselves, except for the founders, as the equity is still concentrated. With the tech industry’s growth, Hadyah Fathalla, Executive Director of Bahrain at C5 Accelerate, says that there remains a skills gap, with not enough supply on the island and the region to meet that demand. This presents an opportunity for universities to re-adjust their educational curricula, and create opportunities around partnering with accelerators and innovators, which Fathalla says is one of C5’s focus, along with creating a women-focused initiative around coding opportunities. And with that increase in tech innovation, the risk around cybersecurity rises too, says Fathalla, which is why her team has built a cyber security lab, and the Cloud10 Scalerator program to encourage enterprises within the space. C5 Accelerate has also been active in encouraging young women through its Nurturing Nebula program for women to make use of co-working spaces, as well as access mentorship. Though Bahrain’s funding scene is bolstered by the government and private sector, Hammad, Kilmartin, and Al Shakar all agree that there’s still more room to grow for more angel investors, VCs, and particularly, an active angel network in the country. With the recently launched $100 million fund of funds for VC, Haider is optimistic about Bahrain’s prospects, and says that the country’s history of financial industries -from private equity to banking sector- could have a lot of positive impact in bringing that talent to the VC capital space. On the works is also a revision of the bankruptcy law to enable early startups with leeway for risk. Barhoumi says they’re working with Accounting and Auditing Organization for Islamic Financial Institutions (AAOIFI) and World Angel Business Forum to develop a network for Islamic angel investors, as the opportunity for Islamic sharia financing rises. If there’s one remarkable aspect to note, it’s the amount of collaboration within various entities and key players who are working towards building a sustainable and opportunity-filled ecosystem in Bahrain. From the government, to the private sector and the startup community, on more than one instances have the different establishments mentioned one another as partners in each other’s initiative. Lana Al Attar, founder and CEO of Gud Juju and GDG Manama, comments on the vast opportunities available to startups, it’s just “patching the information together” of available support and funding.